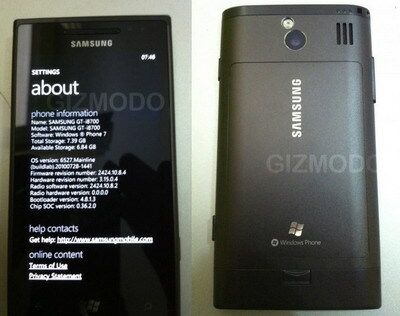 First Windows 7 Phone from Samsung has been spotted - the GT-i8700. According to the report, the upcoming Samsung WP7 handset will apparently come with a camera with an LED flash, 8GB of storage. 0 comments on "Samsung GT-i8700 Windows 7 phone spotted"